Globe (G120) shaped lamps and light bulbs. The LED globe shaped light bulbs look amazing and will brighten up any room. These large globe light bulbs are available in Bayonet or Edison Screw and come in a range of light colours including, Warm White, Natural Cool White and Daylight White and are ideal for home or business use. LED Globe light bulbs are attractive larger alternatives to standard light bulbs and are generally used for decorative purposes and for larger fittings that look better with a larger brighter light bulb / lamp. 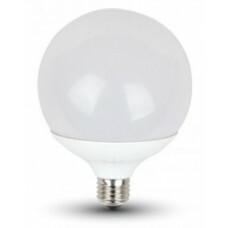 Our range of LED globe shaped lamps are very low energy compared to standard incandescent versions, have an extremely long life and reach full brightness instantly. 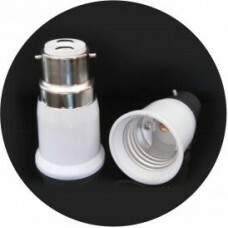 BC / Bayonet Cap to ES / Edison Screw Adaptor / Converter Convert an Edison Screw cap light bulb..